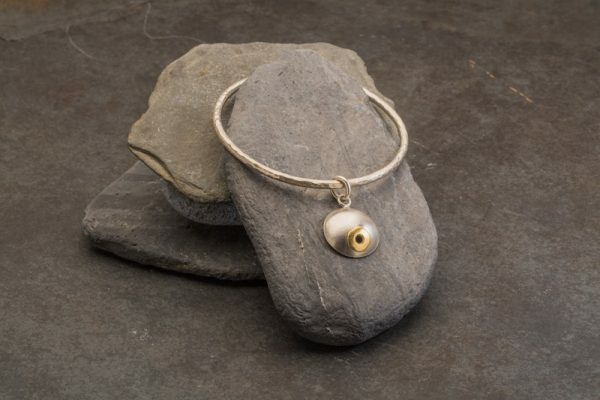 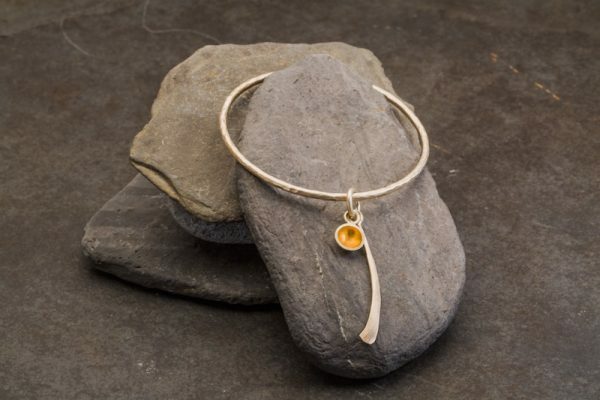 Hand made sterling silver bangle with round letter charm. 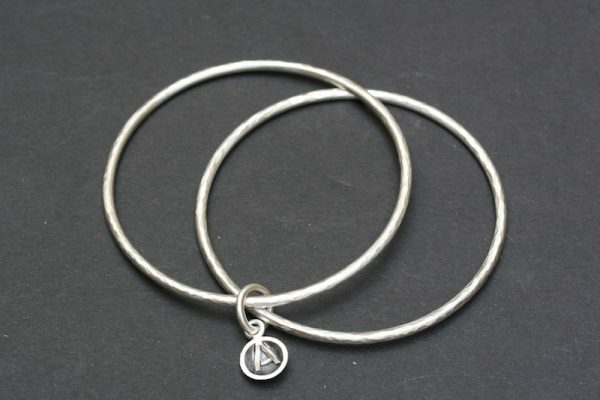 Satin finish silver with hammered pattern on the bangles. 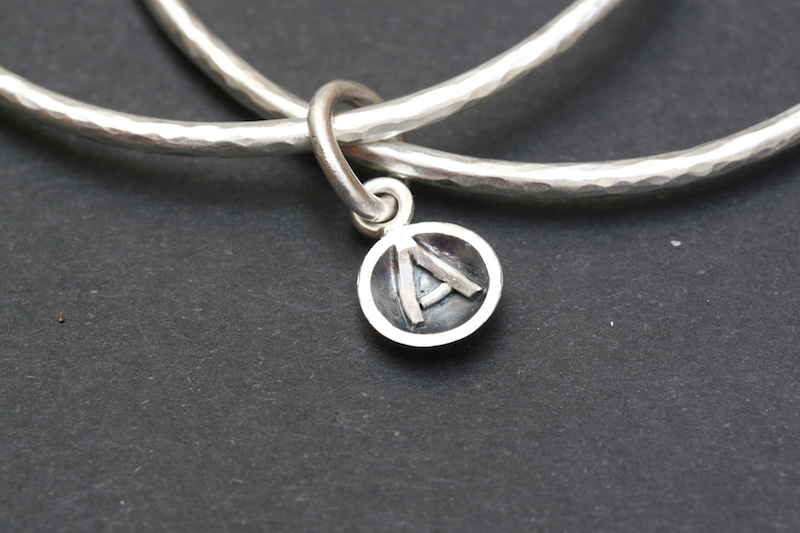 Satin finish silver round cup charm with oxidised(blackened) background to the letter. Approximately 64mm in diameter.